Motherhood is not for the faint of heart. And no one knows that better than Daisy. Raising two kids as a divorced, single mom, Daisy has faced each and every one of the obstacles in her life with courage and determination. Now with her oldest daughter ready to have a baby of her own, her youngest daughter ready to graduate from high school, and her new husband, Paul, ready to embrace the life of an empty-nester, Daisy feels like she might finally be able to check "motherhood" off her list of things to do. Except life often has a mind of its own. When, at the age of forty-six, Daisy suddenly finds herself facing a very different future than the one she had planned—and an uncomfortable evaluation of the past she thought she understood—she realizes that there is still some growing up she needs to do. Looking for a distraction to escape the growing tension at home, Daisy joins the Newport Ladies Book Club, where she meets Paige, Athena, and Olivia—unlikely friends who offer encouragement and support when Daisy's perfectly crafted life is turned upside-down. Daisy is one of four stand-alone books, by four different authors, in the Newport Ladies Book Club series. Readers will be able to participate in a virtual book club that features recommendations and discussion guides. Daisy is a forty-something soon-to-be empty-nester with a long bucket list of things to do once her youngest daughter moves out. She soon finds out that it's going to be a very long time before she gets to anything on that list. 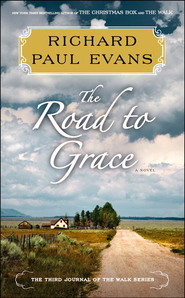 Some challenges come her way that threaten to upend everything that is normal and predictable in her life. Daisy finds much-needed strength and support through her Book Club ladies. 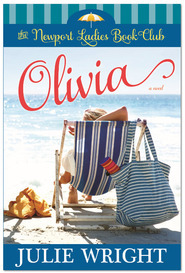 Although this book can be read separately from the series, I loved reading about many of the same events from the first book, "Olivia", from Daisy's perspective. I love seeing the positive change in Daisy as she discovers what matters most to her. I would love to see a sequel to this particular book, as I would love to see what happens next in her life. Entertaining book in an Enjoyable Series! Daisy is the second in the delightful book series "The Newport Ladies Book Club". Each of the women in the book club come together with a problem in their lives, and a need to find some time to get away and spend time – both in reading the books the club chooses, and some time away interacting with others, leaving their problems behind for a short time. It is nice how you get to watch true friendships grow, and how the problems in the character’s lives work out! And, as with Josi Kilpack’s culinary series, when Daisy cooks, you get the recipe too!! I enjoy learning even more about the characters by reading the other books in the series, and each story building on the other. It is always fun to listen to these books on CD too!! I love Josi Kilpack's Sadie Hoffmiller culinary mystery series, and I loved the first book of the Newport Ladies Book Club series, Olivia by Julie Wright, so I was really looking forward to reading this book. We were first introduced to Daisy as we met Olivia and the other women in the forthcoming volumes of the series, though her membership in the book club. 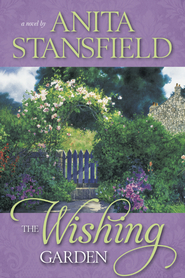 In the earlier book, we only learned the highlights of Daisy's situation, a nearly empty-nester, ready to take on being a grandmother, when a surprise happens that will once again change her life. I will admit it took me longer to get into Daisy's story than I thought it would, perhaps because I had so little in common with her, but by page 50 the story was sailing along and I looked forward to seeing how she tackled the problems that were being thrown at her. By the end, I was satisfied, although anxious to see what would happen in Daisy's future (which I'm hoping with come in later books in the series, which I also hope will have a long, happy future), and ready to revisit the same time frame and learn more about Paige and the new man who comes into her life. I loved this book. I enjoyed getting to know the characters of the Newport Ladies Book Club through Daisy's eyes. Enough time has passed since I read Olivia by Julie Wright, and the details of the book club meetings are now in Daisy's perceptive. I enjoyed the book club meetings, and it was as if reading them for the first time. I loved Daisy's character, she is a very strong, smart gal. I enjoyed her journey, and the lessons she learns about herself, her family, and also the joys of close friendships. Most of all, how she needed to ask others for help. 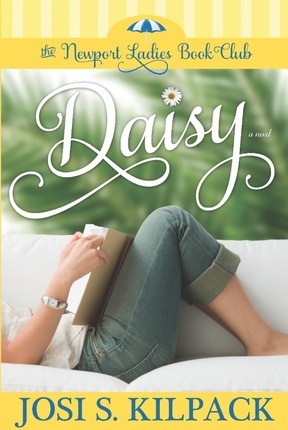 I recently read Daisy, the second stand alone book in the Newport Ladies Book Club series. Each book is written by a different author from the perspective of a different member of the book club. This one was written by Josi S. Killpack, the author of the Sadie Hoffmiller Culinary Mystery series; one that I've spent many lovely hours devouring. As I read Daisy I found it to be an interesting experience--reading many of the same events but from another perspective. Daisy's life has it's own set of challenges, very different from those faced by Olivia in the first book. I like that these women in book club come to each others aid as the inevitable bumps in the road come along in their individual lives. Daisy was an enjoyable read. 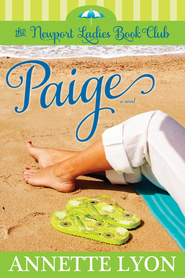 Paige is the next installment, due out in August. I'm looking forward to it! Do you ever feel like nothing is going the way you planned? If you understand the feeling, you can relate to Daisy. She is a remarkable character, flawed though she may be, who is just trying to be a good mom, wife and business woman. We all know how that juggling act can go. Through all her highs and lows, she discovers a thing or two about womanhood and friendship. When things don't go the way we planned, we get by with the help of true friends. Daisy is not at all what I expected. I'm not sure what I expected. She is a very complex character with a lot of back story. She is so well drawn that I really didn't like her. In the beginning of the book, Daisy is very self-absorbed, and the center of her own little universe. I soon realized that Daisy's annoying frailties were the result of the author's finely crafted character development. I wasn't told Daisy was self-absorbed. It was shown through her actions. Somewhere around chapter 34, I found myself not only sympathizing with Daisy, but tears actually welled up in my eyes with each problem she faced. I didn't think I would like her mother very much because of Daisy's perception, but once I met her, it was another example that there is always more than one side to every story. I usually save judgement until I meet someone myself. When I finally met Daisy's mother and heard her side of things I liked her very much. I realized Daisy still hadn't grown up, even though she is 46. With a character like Daisy, it's easy for me to believe that her reality is the only one that counts. By the end of the book, I knew Daisy still had a rough road ahead of her but she had grown up some and I was left feeling hope for her. So Olivia, Daisy, Paige, and Athena are written, but what about Ruby? As the matriarch of this little group, she is the most complex character of all. Who is going to write her story? I hope the series will continue for another year, so we can get to know them all. "Would it kill you to take a day off, Daisy?" Paul asked over the phone. Another addition to the Newport Ladies Book Club series. I love reading this series from different character's view point. This one is written by Josi Kilpack and I enjoy her writing. Daisy has had a rough life, starting off as a young, single mother who has a limited support system. She marries again, divorces and remarries a third time. She is looking forward to having the kids grown and out on their own so she can have time for herself. Through the story, Daisy alienates her daughter, offends her newer husband and sees nothing wrong with what she's doing or thinking. Then something happens that turns her world upside-down and she has to make another life-changing decision. Will her family and friends support her? I never really connected with Daisy. I didn't care for her third husband either. I thought he was using her from the beginning. I wanted her to step up. I wanted better closure from her daughter and husband. The strange thing is I liked the ex and wanted to read more about him! I enjoyed reading the same time setting as in Olivia but from Daisy's point of view. I admit, I did skim the book club discussions but I liked Daisy's thoughts on the other club members. She tried to be kind and gave compliments. She tried to think outside of herself and she felt better about herself. One of the things about the Newport Ladies Club is it removes the cliche “The woman is always right.” Yeah, both Olivia and Daisy have “the man is wrong” in them. I like the fact that we have imperfect women and, more than anything, it’s okay they’re imperfect. Is it bad to want to scream at a character and ask “What on Earth is your problem?” or “Grow up, Moron!”? No? Okay, cause I wanted to do that with Daisy. The thing about Daisy that was a little disappointing is I already knew what was happening to her having read Olivia. Was that a major problem having some things spoiled for me? I gotta say, in a way it was. On the same token, knowing all the negative things that would happen to Daisy made me wonder how she reacted to them. The thing that made me really enjoy the story was Daisy’s bff-like relationship with Paige. In reading Olivia, I judged Paige to be this mousy, spineless little girl. In reading Daisy, I learned I was grossly mistaken. Let me just state, I wanted to yell “Go Paige!” for one of her acts. One thing we know about Daisy early on is she has two daughters, one of which is about to have a child of her own. Now, this is a sem-spoiler alert. Daisy has man issues in the book (but not romance book man issues, thank goodness). Regardless, if I had written this book with these characters, I would have had Daisy end up with her ex-husband, Jared. Sorry Daisy (or Josi), but that man is an unsung hero. Super! Delightful! Even better! The second book in the Newport Ladies Bookclub—Daisy, draws me on to the third and fourth, Paige and Athena, that aren’t out for several months yet. Rats. The presence of characters we have already met in the first book, Olivia, are so intriguing to me that I go back to that book on my shelf and reread the bookclub meetings where the characters are together. I love seeing the events from different points of view. I make a mental note to look in a future book to see the meaning of what Daisy observes. I want to know why Athena couldn’t come to the second bookclub meeting and I even hope to know the four other characters in the club better. Josi Kilpack has crafted her finest novel yet with her character development of Daisy. The people Kilpack has created are lifelike, three dimensional, varied, and recognizable. As Daisy bumps into life’s events she is forced to look closely at her children and husband—and former husband for that matter—who don’t behave as she wants them to. But it’s the discussions at bookclub that make her look at her own responsibilities in her strained relationships. What she sees leads her to an eventual powerful realization of her inner self. Only then does truth win out. The books they read—The Poisonwood Bible, My Name is Asher Lev, and Silas Marner feed the souls of the women and what they deal with in their own lives. The book discussions are lively and interesting and insightful and have led me to pick up more than one of the books to expand my insights of what is shared in Daisy. Oh, it’s good. The twists and turns and human reaching out for human to make connections and develop relationships are so much a mirror of our human experience. All backed up the by the discussions at bookclub that shed light on what is really important in families and friendships. I look forward to having all four books on my shelf so I can look at interactions both from the outside and the inside of each character. So far both authors have given distinctive voices to their work and yet melded it with the other book into a cohesive whole. Well done, Daisy and Olivia. Well done. Loved the book until the last page. I loved the unique story line in Daisy. I couldn't put the book down and loved every word of it until the last page. It didn't feel like the book was finished. I kept looking for an epilogue, but there was none. I enjoyed reading "Daisy", the second installment of the Newport Ladies Book Club series. I could empathize with her anticipation of her last child leaving home and making plans for the future with her husband. Of course life usually doesn't always follow our plans! One of the important themes in these books, in my opinion, is judgement. Daisy is guilty of judging all of the women in the book club. As she gets to know each one individually, she realizes that she has misjudged them all. It is a wake up call to me to think about how I might be misjudging others because I don't know their stories. These books don't have fairy tale endings, but are resolved in a realistic way. I am looking forward to learning more about Paige in the next book. This was a great book but lacked Josi's usual humor and energy. There were situations in Daisy's life many can relate to in the various problems and unexpected situations with relationships. The book didn't flow as well as most of Josi's writings. 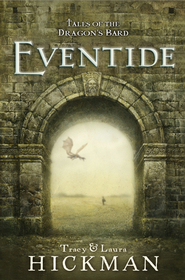 Still, it was well-worth my time in reading it and I am really looking forward to the next book in the series. 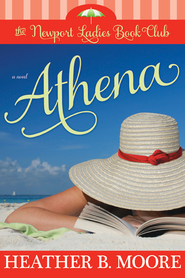 I'm so excited to be a part of the continuing reviews for The Newport Ladies Book Club. I love this idea of writing books that are set in the same point in time but from the life and view of four different ladies. Daisy is the second book released. Olivia was the first book. One of the great things about these books is that you can pick them up and read them in any order. I really loved Daisy. The book and the character. I think Daisy has the experiences and mind set that many women will relate to. I was pulled into her emotions and really felt for her. Rarely does life go the way we hope and plan for and Daisy's life is proof of that in bucket loads. She faces mistakes, misunderstandings, strained family relationships, betrayal and hurt but also new friendships, healing and hope. I hate to say too much or give too much away. The one thing I was sad about was the ending. I knew coming into this series that not every story had a happily ever after ending but I was hoping for at least some resolution. Daisy is just left hanging. I wasn't ready for the book to end. I wasn't ready to give Daisy up. I wanted more. I still want more. Maybe I'll get to hear more about Daisy later in another book? I really, really hope so. I need to know what happens with Daisy! You really ought to give this series a try if you haven't already. So far it's been fantastic! Paige is the next book in the series, coming out in August. Something fun to look forward to. I just love this concept of writing with the overlapping and connecting stories. I enjoyed this second installment of the Newport Ladies Book Club. I was waiting to find out the background story of Daisy hinted at in the previous book. Once again I was part of the the book club and felt like shouting out my own opinions regarding the book they were discussing. I sat on several couches as a ghostly friend wanting to give comfort and support to Daisy. Thank you for a realistic read that highlights we are not alone in our struggles to discover our strengths and self awareness. We often forget to look around during our busy schedules and discover that good friends can be discovered where we least expect them. Insight into the fact that when we cross our comfort zone "line in the sand" and reach out to others, the unexpected rewards enrich and expand our own lives. Too often we don't think small acts of kindness and service would really matter. This story illustrates just how big the small things meant to Daisy and helped to shape her decisions. I am looking forward to the next book in the series and the additional stories behind the Book Club members! Poignant and moving. I highly recommend it. Daisy speaks to all of us who aren't perfect mothers, and feel serious guilt about it. When she's just about to be an empty-nester, she finds out that she is expecting. Yikes! It puts a strain on her marriage, her co-worker, and her relationship with her kids. She finds out that this new developement is like seeing her life through a magnifying glass, and she doesn't like what she sees. I was so touched by the way Josi explored the complicated relationships in Daisy's life. It was so honest. Nobody is the mother they wish they were, and Daisy realizes that she has the chance to try again and be the mom she always wanted to be. The problem is that she has a lot of growing up to do. I ached with her as she agonized over her situation, and I cheered when she triumphed over the things that held her back. This book is an excellent example of the fact that we never stop growing, and no matter how old or set in our ways we are, there is always room to re-evaluate and improve. I loved it, and I highly recommend it. Daisy would be fun to have as a best friend. Daisy is entertaining, and has many twists and turns. Just as you think you know what is going to happen to Daisy something new transpires. Her life is a roller coaster and surprises are around every corner. Believe me when I say that when you are positive you have the plot figured out, things will change. The ending was not what I expected. Daisy is an amazing character and a friend indeed. You really won’t want to miss this second book in the Newport Ladies Book Club series. I cried, I laughed. I even got angry with Daisy, as well as her children and mother. They were all real to me and many times they each deserved a good scolding. A great read for all women!